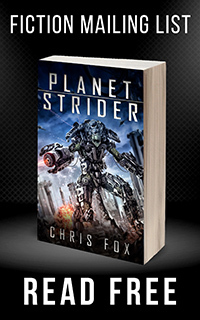 For week 8 of 12 Weeks to a Trilogy, Chris talks about his prequel, Planetstrider. After giving an update on his status at week 8, he discusses how he uses Planetstrider as a complimentary book to function as a reader magnet for the series. How do you use a reader magnet to drive interest in a series before publishing it? Check out the video below for more details!